I have a confession to make. Back in 1993 I made a mistake. I watched the first few episodes of “Star Trek: Deep Space Nine,” then gave up. Hey! I had some pretty common complaints: The show didn’t take place on the Enterprise. Heck, it didn’t take place on a starship at all! The surroundings looked all wrong. The “action” took place on a space station someone else built and vacated. These people weren’t going off exploring new worlds every week. They just sat there, spinning, reacting to things that came to them. The show was dark, not uplifting. Starfleet was not the hero. The Cardassians were one dimensional. And the pacing was. so. damned. slow. It wasn’t until years later that I went back and gave the show a second chance. I pushed through episodes like “Move Along Home” and kept going. I was rewarded with probably the best overall Star Trek series of them all (at least so far). I mention this because I watched the first episode of “Star Trek: Discovery” on CBS network television and was almost tempted to stop watching. I was not overly impressed. Yes, there were aspects that were intriguing and familiar, but things were moving much too slow. Some of the actors in Klingon makeup appeared to be struggling to speak through their appliances. There were tech aspects that were bothering me — the holographic technology being the biggest head scratcher. And Captain Georgiou (Michelle Yeoh) did not seem to have the gravitas I felt a starship captain should have. I began to feel like people were right when they said “The Orville” was a better reimagining of “Star Trek” than this new CBS series — even though, in my heart, I knew that Seth’s series was really a loving look back at a specific point in Trek’s 51-year history. Trek had grown since TOS and TNG, much like The Empire Strikes Back shed the simple Buck Rogers feel of A New Hope. When the episode ended, I had to switch to the CBS All Access service to watch episode 2. I did. And, thankfully, things got better. In many ways, “Battle at the Binary Stars” is a better pilot episode than “The Vulcan Hello.” Not only do we get the prerequisite opening battle out of the way, we get backstory on our lead character Michael Burnham (Sonequa Martin-Green). We learn that she is the victim of one (and possibly two) alien attacks. 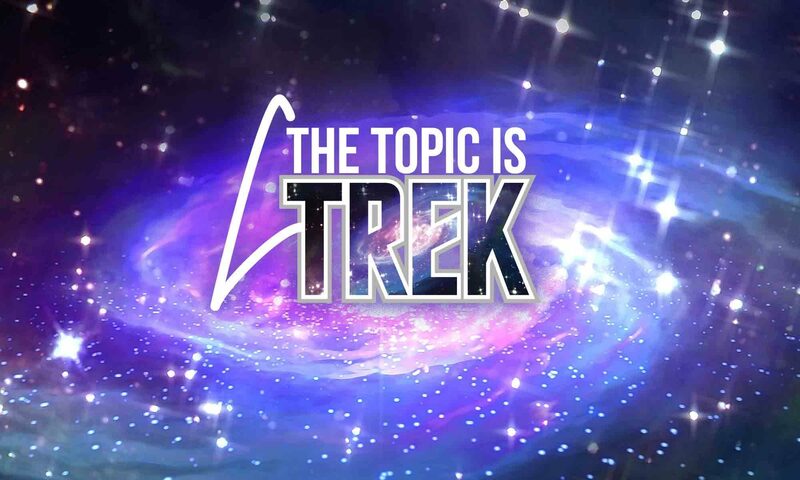 We learn about her special connections with Sarek and Captain Georgiou. And we see why she has such an internal conflict between logic and emotion. It is not the same as Spock’s dilemma. Or even, dare I say, Sybok’s. .Instead of struggling to repress one path of existence, she is trying to integrate both. In fact, this revelation helps define the essence of “Star Trek: Discovery” — how do you make utopia interesting? It appears that “Star Trek: Discovery’s” answer to this question is to have heroic figures with major flaws. T’Kuvma (Chris Obi) and his dedicated follower Voq (Javid Iqbal) are outcasts, obsessed with the notion of Klingon identity and passionate visions of the legendary Klingon unifier, Kahless the Unforgettable. Lt. Saru’s (Doug Jones) genetic instinct to flee danger too often appears to hold him back. And Michael Burnham is the most damaged of all. She enters our story already damaged by an attack that killed her parents and by the cultural disorientation. I would expect our characters to work through their flaws over the course of the season. What they learn, or do not learn, will alter or simply affirm how we defined them. And, once again, Michael Burnham has the farthest to go. She has now been stripped of her rank, sentenced to life in prison and bears, rightly or wrongly, the weight of beginning the Klingon-Federation War of 2256. Regarding the overall story, we have only seen the prologue. I don’t believe we will get a true sense of the scope of what we are dealing with until episode 3, “Context is for Kings.” Yes, we know there is a great war in progress, but how does the U.S.S. Discovery figure into this conflict? Is she some sort of prototype ship from Section 31? Episode 3 is often referred to as a second pilot for “Discovery.” I think it may be more a case that it is Chapter 1. Special thanks to the whole gang at Head Over Feels for guiding this noob through the world of episode blog posts! And I agree 100% about DS9 Best Trek Ever.